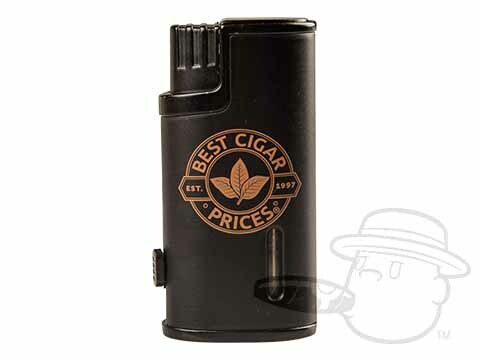 BestCigarPrices.com has the best assortment of cigar lighters, torch cigar lighters and butane cigar lighters. Our cigars lighters are designed to combine style, function and dependability, and are truly a necessity for any cigar aficionado. Whether for use at home, in the boardroom or at your favorite cigar club, our cigars lighters are perfect for any occasion. 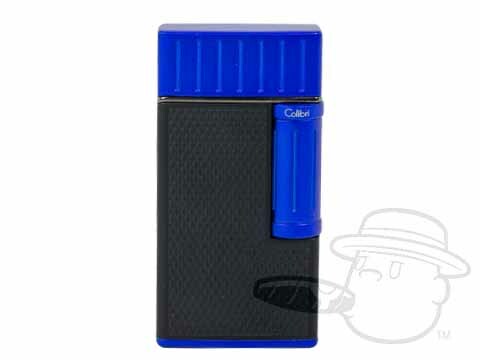 Guaranteed to light your cigar without introducing any outside chemicals or other flavors or substances into the cigar as it is being lit, our butane cigar lighters work indoors or outdoors, even on a breezy day. In addition to the perfect lighter, lighting a cigar takes practice. To light a cigar, light up your cigar's lighter with one hand, then grip your cigar about an inch or two from the head (usually around the band) using your thumb, index finger, middle finger, and ring finger (if necessary), and place in your mouth. Position the end of your cigar just above the top of the flame of the butane or torch cigar lighter, being careful not to let the cigar actually touch the flame. Begin puffing on the cigar, and slowly begin to rotate the cigar. Depending on the size of the cigar, you may have to continue puffing while rotating the open end above the flame for 10-20 seconds (or longer) until the tobacco around the outer rim begins to glow, and the smoke begins to easily draw. 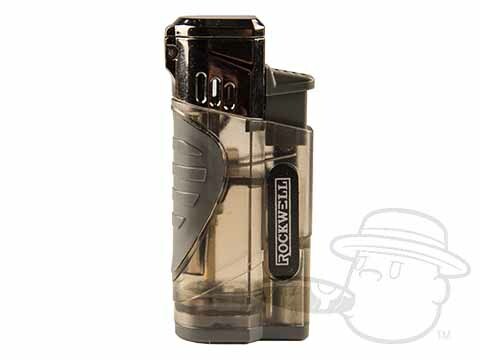 Check out our featured cigars lighters below, or search our whole selection for one of a kind torch cigar lighters and butane cigar lighters in nearly every color, shape and size.